A 23-year-old man charged with attempted murder escaped police custody on Tuesday evening as he was being taken to Manhattan's central booking, police said. The suspect, Tareek Arnold, is accused of assaulting the police officer escorting him and slipping away at about 7:20 p.m. He was last seen running north by West 134th Street and Eighth Avenue wearing a gray hooded sweatshirt and gray sweatpants, with a white T-shirt and gray sneakers. Police said Arnold has two tattoos: one that says "troll" and another that says "militant soldiers." Arnold was arrested for the June 8th shooting of a 38-year-old man. 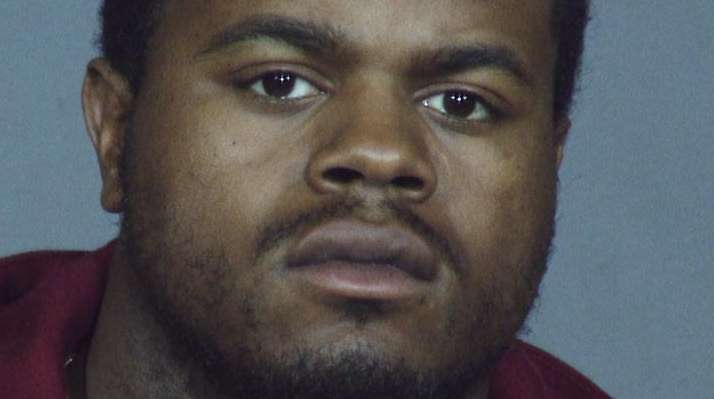 He is accused of shooting the man in the back, arm, and chin near Arnold's Harlem apartment building on Adam Clayton Powell Blvd., and 140th Street. The victim, who knew Arnold, was then taken to Harlem Hospital in critical, but stable condition. Arnold has several prior arrests, most of which are sealed, police said.